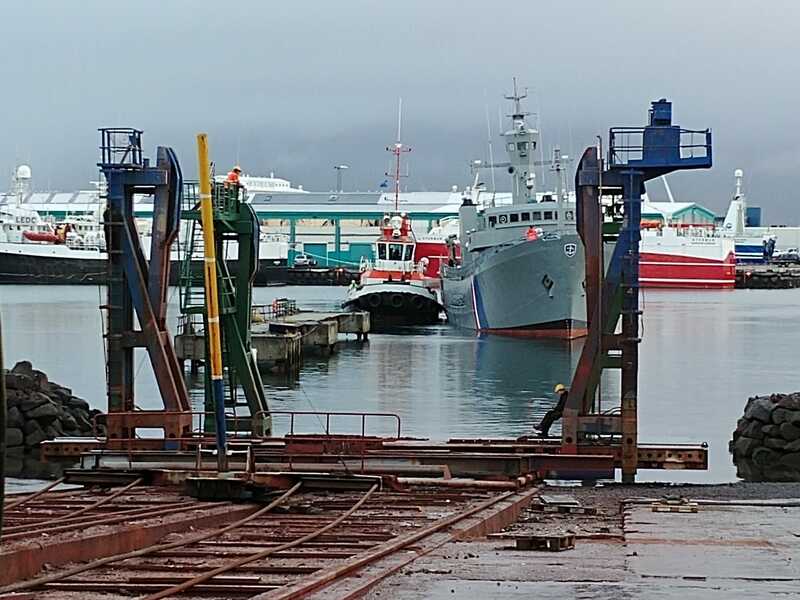 The former Coast Guard Vessel Óðinn was pulled into the shipyard of Reykjavík’s old harbour this morning 15th October to undergo some maintenance and repairs. Óðinn is famous for its role in all three Cod Wars but today the vessel serves as a floating exhibit at Reykjavík’s Maritime Museum. Although Óðinn has not sailed the oceans in recent years, regular maintenance has to be carried out. The work is estimated to take about a couple of weeks after that Óðinn will be back to serve its guests as it has done for the last 10 years at the pier behind Reykjavík´s Maritime Museum. Óðinn was built in Álaborg, Denmark in 1959 and arrived in Iceland on 27th January 1960. In 2008 the vessel was decommissioned and gifted by the state to The Civil society for the coast guard vessel Óðinn whereupon the Reykjavík Maritime Museum officially took over the conservation and care in partnership with the society. Since then, the ship has been given a new lease of life as an integral part of the museum and enjoyed by the general public. On board, stories are shared of both the Cod Wars and rescue missions carried out during Óðinn’s service in the coastguard. Iceland´s state treasury, Reykjavík City, TM Insurance, Olís, THG Architects and last but not least The Civil society for the coast guard vessel Óðinn.